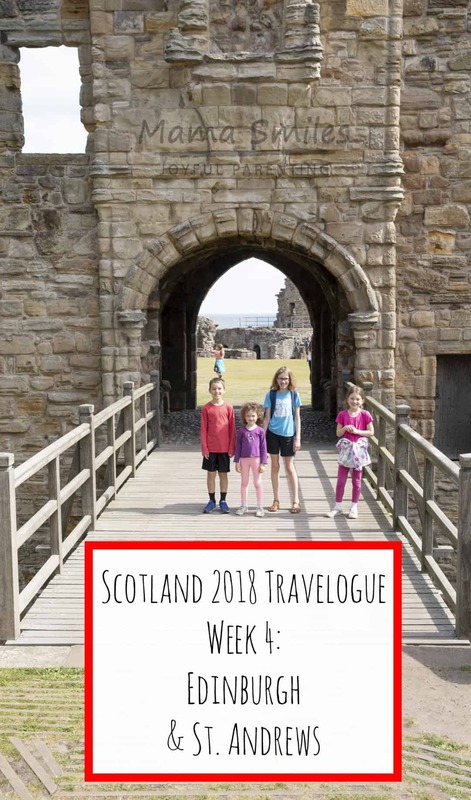 Highlights from our fourth week in Scotland during the summer of 2018: Edinburgh and St. Andrews. The kids and I walked over to my Ph.D. dissertation advisor’s flat. They played in her beautiful garden while we caught up on one another’s lives. I’m very fortunate to have incredibly supportive Ph.D. advisors who remain close friends and mentors even though I haven’t pursued a traditional academic career. I took the kids to the two Harry Potter shops on Victoria street today. This is not a very long street, but it manages to house two Harry Potter themed shops since it is the inspiration for Diagon Alley. We especially recommend a visit to the Museum Context shop, as the shop itself is quite the experience! We spent the rest of the day at the park. We’re staying in a beautiful airbnb flat this summer that is right across the street from stunning public open space that my kids have enjoyed playing in nearly every day we have been in Scotland. Did you know that Edinburgh is home to beautiful sandy beaches? My kids LOVED our day out at Portobello beach so much that they talked Mike to taking them back over the weekend. 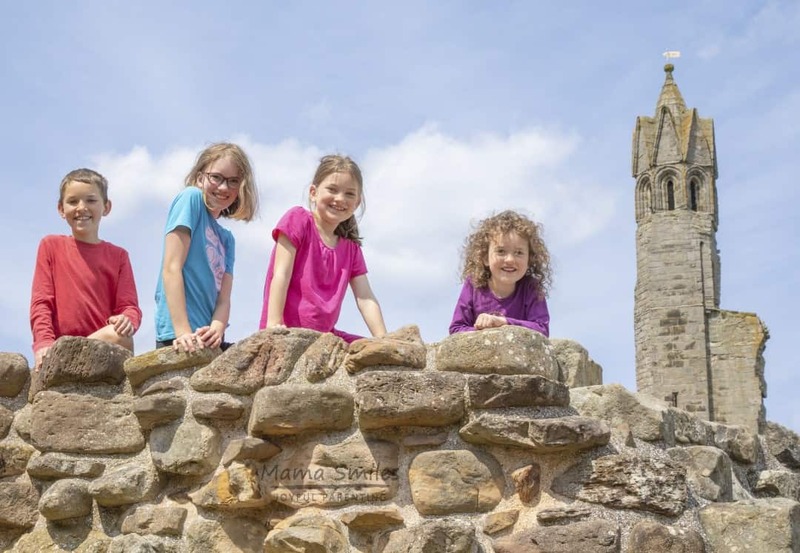 The kids were thrilled to return to Craigmillar Castle for yet another visit. They never tire of visiting this medieval castle. We can return over and over without worrying about the admission fee because we are Historic Scotland members. 13: July: Where to Find Highland Cows in Edinburgh? I adore the super hairy highland cows (or highland coos) that you find in every postcard shop in Scotland, but they can be hard to find in Edinburgh. I took the kids on a six-mile excursion in the Pentland Hills, which they were not always thrilled about. They cheered up immensely once we spotted the highland coo featured at the top of this post, as well as one of its friends. If you’re wondering where to find a highland coo in Edinburgh, we found these two at Swanston Farm. The kids and I joined Mike and his students for a bus trip to St Andrews. While there we toured St Andrews Castle (above) and the cathedral (below). Our Historic Scotland card got us into both sites for free. We also walked by the St Andrews Links “home of golf” course. The kids LOVED the beach where that famous opening scene of Chariots of Fire was filmed. The tide was out and it was spectacular. They could have stayed there all day, but we were on the students’ bus schedule and had to walk back to the Cathedral. I was sick, so Mike took the kids to Portobello Beach and I slept. I was so sick that I completely forgot about writing this post, which is why it’s going up today. The good news is, I’m feeling better and the kids and Mike all stayed healthy! Did you notice that everything we did this week was free, or included in our Historic Scotland membership? There are plenty of inexpensive ways to see a wonderful part of the world! We’re off to London tomorrow – what should we be sure to see? Share recommendations on my Facebook page, or by tagging me on Instagram. What another wonderful Scotland trip! My husband has been there for golf but now I want to go for the sights! There is so much to see! You should definitely visit. Just caught up with your wonderful travelogue! 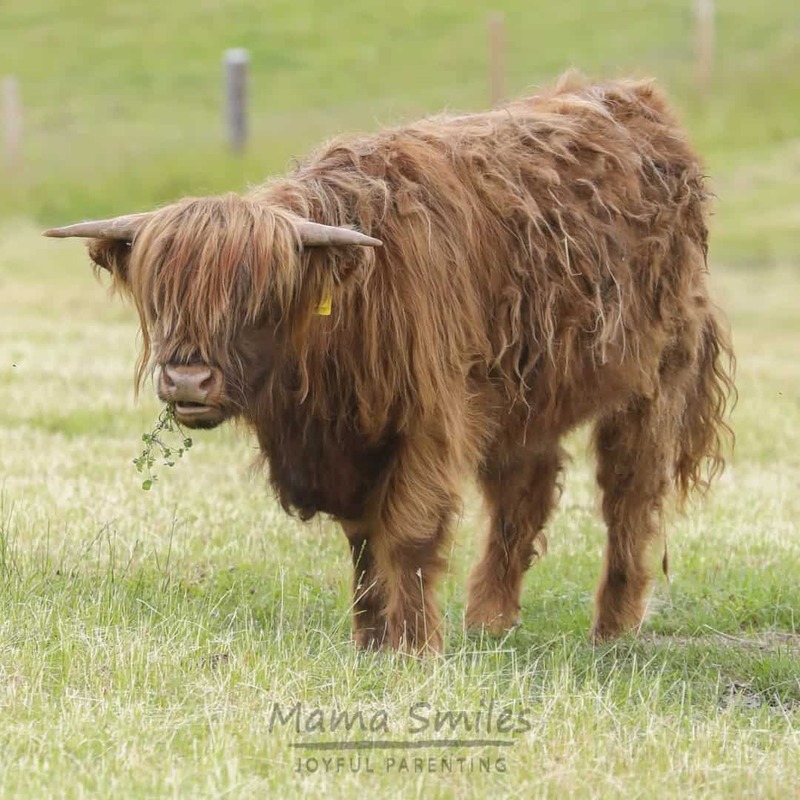 It made me very happy you got to see some highland cattle! And all the other fantastic sites plus it looks like you’ve been blessed with absolutely amazing weather! Sad to hear you got sick but glad you are feeling better now!! Looking forward to hearing about more of your European adventures! The weather has been the best I’ve ever seen in Scotland! It’s been an incredible summer. I am jealous that you really got to stay in one place and explore. Sorry for you getting sick – this is my worst case scenario, to get sick on the road. Glad to hear that you are better. Awww, I’m sorry you got sick, but since I’m reading these all out of order you’re obviously better. Those cows are super cute, so I totally understand wanting to get a picture of them. Forgot to say on the last post I read, I love that you can walk out to that island during low tide, that is so cool.